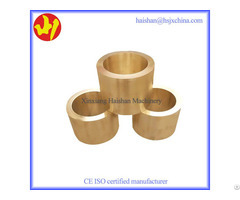 Our company adopts advanced production process such as centrifugal casting for copper bushing and bearing bush. 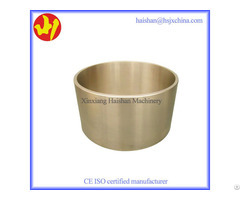 As compared to sand mold casting, centrifugal casting can obviously improve the tightness, wear resistance, tensile strength, tensile rate, flexing and extension. 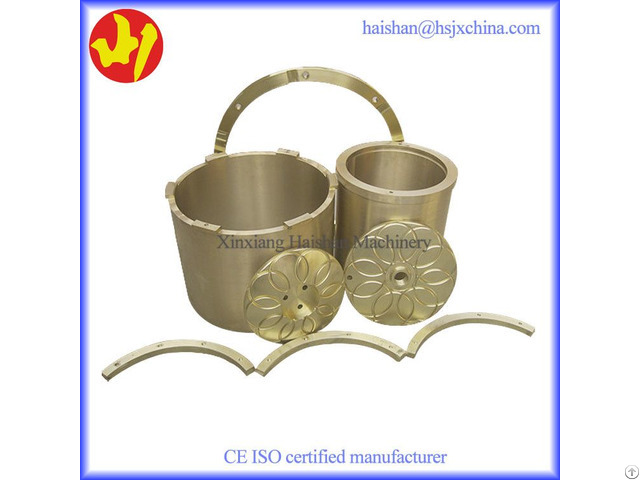 All of these improvements are not the same phenomenon as sand mold casting. This is because there is possibility of occurrence of sand holes when sand mold casting is used. 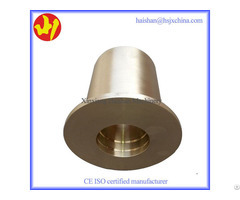 Thus, making it the first choice for many complete set of machinery products.